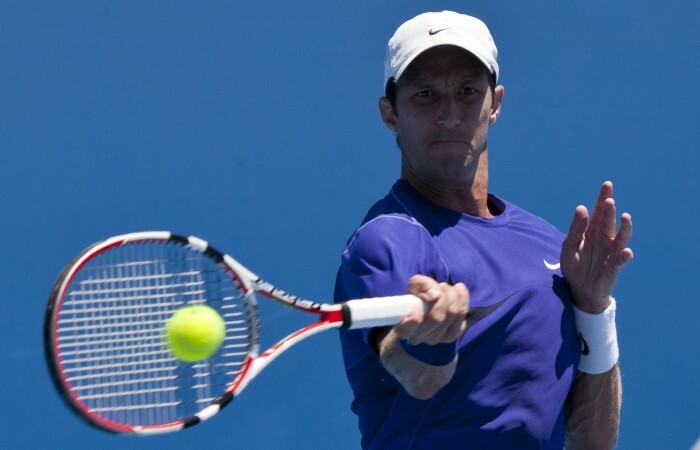 Sydney’s Adam Feeney and Victoria’s Olivia Rogowska are the 2012 Cliffs Esperance Tennis International champions after winning the men’s and women’s singles finals on Sunday in Western Australia. 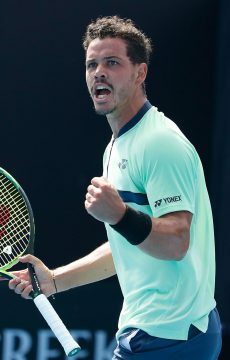 27-year-old Feeney won his first singles Futures title since 2007 when he defeated South Australia’s Alex Bolt (Murray Bridge, SA) in the men’s event, 3-6 7-6(2) 6-2. Feeney has had some solid results on the Australian Pro Tour in recent weeks, reaching the finals of Happy Valley and Port Pirie and on Sunday broke through to prevail over Bolt for the first time. “It’s been a long time coming,” said Feeney post match. “It was really tough windy conditions. Alex was playing well at the start and was playing a bit better than I was, but I found a bit more rhythm on my serve early in the second set and got a break up 5-3. Alex got the break back but I played a pretty solid tiebreak and was able to run away with it and keep the momentum into the third. “I feel like all the work I’ve been able to do with my coach is shining through over the last couple of weeks. I still feel really fresh, my body is going well at the moment. “I’m just looking forward to playing every day. I’m enjoying it so much,” continued Feeney. Bolt experienced victory in the men’s doubles event when he partnered with AIS Pro Tour colleague Benjamin Mitchell (Worongary, Qld). The pair defeated Feeney and Zach Itzstein(Champion Lakes, WA) 6-2 6-3 to take away Mitchell’s first ever doubles title. 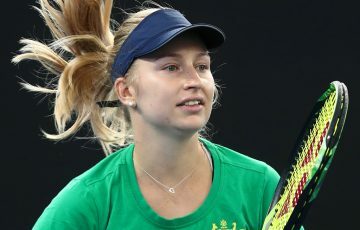 Rogowska claimed her third Pro Tour title for the year, defeating 16-year-old Ashleigh Barty (Springfield, Qld) 6-0 6-3 in the women’s competition. 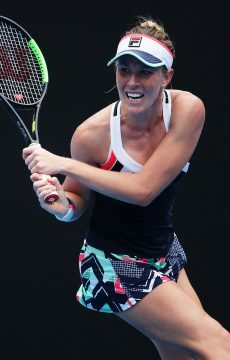 The top seed was happy to walk away with her first win against  Barty, after the Queenslander led the head-to-head count 2-0 going into the final. “I played really well, so I was really happy,” said Rogowska. “It was so windy. I don’t think I’ve ever played in conditions like that. I knew what to expect today and was ready from the first point so I was pleased. “My own focus was to get one extra ball back and just make her play one extra shot. 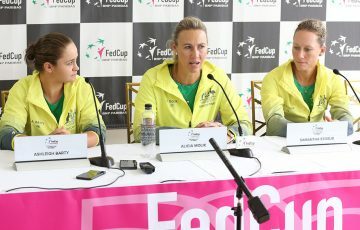 I thought I played smart in the wind, and on the big points I played solid, so that helped me,” added Rogowska. In the women’s doubles event, Barty teamed up with Sally Peers (Glen Waverley, Vic) to win their second title together since Nottingham in June. The top seeded pair defeated Rogowska and Victoria Larriere from France in a tight match 4-6 7-6(5) [10-4]. 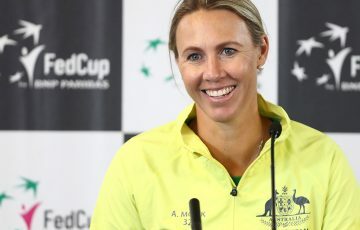 The tour now moves south west for the Margaret River Tennis International proudly supported by the Shire of Augusta-Margaret River to round out the Western Australian swing of the circuit.